Border Collies are types of dogs which are very energetic and have the energy to run around all day. Because these dogs are meant to stay in the sun and are built to be active, it is important to take care of their health by giving them the proper food and nutrition. Finding the best dog food for Border Collies can be easy if you know some essential information about these types of dogs. Not all Border Collies dog food have the same ingredients, which is why it is important to look into the products sold in the market today. The Purina Pro Plan Focus is a fish-based dog food in which the main ingredient is real salmon. Fish is an important part of the diet for dogs because of its many benefits, and it will certainly keep your dog’s coat healthy. Aside from having fish as its main ingredient, this dog food also contains other healthy ingredients and healthy fats such as canola oil, and other animal fats. The Purina Pro Plan Focus is very high in fat content, and omega, hence, this can be a great choice for maintaining the health of your dog’s coat. For adult Border Collies which have sensitive skin and stomach, this dog food can be a great option. This dog food can help your Border Collie to have a proper nutrition needed for daily activities. 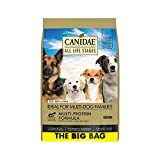 Plenty of protein which is good for dogs which have hip problems. Good for dogs which have sensitive skin and stomach. Contains probiotic fiber for easy digestion and zinc for skin nourishment. This dog food also contains grains which can be a source to trigger allergies. Canidae’s All Life Stages Formula can be considered as having the best ingredients combined for your collie. This type of dog food is good for active dogs, which makes it suitable for Border Collies. There are many essential ingredients in this dog food that would be fitting for a collie, including high-fat meats. For individuals who are still considering to own Border Collies, it is vital to include protein in the diet, and Canidae All Stages Formula has four different sources of protein. It consists of chicken, turkey, lamb, and fish. Protein is a necessary nutrition to keep your dog’s immune system strong and maintain the health of your dog’s coat. This dry dog food has excellent ingredients and its formula is suitable for all life stages of your Border Collies. This dog food can be served to puppies and nursing mothers too. 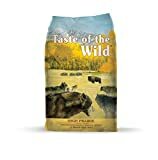 The Taste of the Wild Pacific Stream Formula dog food is another excellent option for pet lovers who have Border Collies. It contains high protein and enough fat to keep your collie’s hair healthy, smooth and shiny. There are several ingredients in this dog food include beef, peas, garbanzo beans, lamb meal, and canola oil. Other ingredients include egg, boar, ocean fish, and pea flour. The meat contains high proteins, the peas are good sources of carbohydrates and natural fiber. Your dog needs different varieties of vitamins and minerals to stay active and healthy. This dog food is high in proteins, fiber, vital vitamins and minerals such as Zinc, Vitamins A, D, and E.
It contains Omega-3 which is good for your Border Collie’s hair. 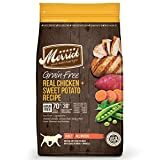 Another benefit of from this dog food is that it contains sweet potatoes, known to provide clear eyesight for your dog. It does not contain grains or corns which is sometimes believed to trigger allergies. The Acana Grasslands Regional Formula is specifically formulated to include lamb, duck, whitefish, and lentils. In addition, the formula will also feature goat and catfish meal which will provide protein, fat, and fiber needed for your collie. The good thing about this diet is that it does not contain grains, potatoes, and tapioca. Some owners worry about allergies and grains are known to trigger them. Your Border Collie will benefit from the variety of natural ingredients to give your dog a healthy lifestyle. This dog food is made up of deboned beef which is a very good source of protein. Two very common ingredients added in the formula are flaxseed oil and salmon, which are very high in omega 3 and omega 6 fatty acids. A group of antioxidants is also present, and the good thing is that they are offered through fresh peas, blueberries, and other vegetables.Owners will be happy to see good carbohydrates such as sweet potatoes since there are no harmful grains included so your dogs will enjoy the healthy benefits. Border Collies are unlike the average dogs because they need more calories to maintain their energy. These dogs are very active which is why it is important to give them the proper nutrition they need.It is important to know that male Border Collies weigh between 30 and 45 pounds and female Border Collies weigh 27 and 42 pounds. The health of your Border Collies is important, and you have to know some very vital information to keep them active and efficient. For older dogs, they need 717 calories daily which will mainly come from dog﻿﻿ foo﻿﻿d. Typical adults should be given 996 calories, and active or working dogs need 1394 calories daily. To give your dog the proper nutrition, it is always advised to monitor its weight and always talk to your vet about the condition of your pet. Typical Collies are very active, and highly energetic, which means they need more protein than other dogs. High protein food is vital to keep them healthy, such as fish, and meat. A well-balanced diet is recommended and getting nutrients from a variety of sources should always be followed. Foods that are high in protein can make your Border Collies strong especially when their purpose is a companion for your farm. Although these types of dogs are useful in farms because of their mental capabilities and dynamism, they can be great house pets too. Because of their active lifestyle, and their high metabolism, it is important to give them essential nutrients and enough drive for the day. A variety of vitamins, minerals, fats, taken not only in animals but also in fruits and vegetables can provide a well-balanced diet for your dog.Obviously, protein can make muscles strong, and the more protein your collie has, the better it is. There should be 25 percent of protein intake for a standard Border Collie, however, for an active collie, protein intake must be upgraded to 50 percent of protein intake. A constant supply of protein will make your dog resilient and tough. Without protein, or less consumption of it can lead to muscle weakness and fatigue. Another essential food for a well-balanced diet for your dog is the intake of fruits and vegetables because they play a very important role in reaching the full potential of your Border Collie, as well as achieving the overall health. Fruits and vegetables are known to be high in antioxidants which your dog also needs. Fruits and vegetables like carrot, raspberry, peas, and others will make your dog healthy. Fats are also part a healthy diet for your dog because it can provide your dog with a healthy coat. Sources of fats can be fish, and flaxseeds oil are very recommended for your dog’s diet. Because they are so active, they will be subjected to a lot of stress especially in the joint areas. If this is the case, your dogs will require a lot of medical attention. A healthy diet can alleviate the symptoms of joint pains. For one, calcium should be part of the diet, and this can be found in any dog food formula. Calcium intake can strengthen bones and keeps your dog’s skeletal system healthy. Another ingredient that needs to be taken by your collie is the glucosamine, which is needed to make connective tissue healthy. Glucosamine will keep joints and cartilage stable even with rigid playing and work. There are many products available in the market, however, not all products are suitable for your dog’s overall health. Border Collies are very adaptive dogs, and they can tolerate ordinary ingredients. However, Border Collies need to be consistently monitored especially in their diet.There are several ingredients to avoid when buying dog food. The first ingredient to avoid is carbohydrates because they can be a source of allergic reaction. Although Border Collies can tolerate eating a high amount of carbohydrates, it is still advisable to lessen carbohydrate intake as low as possible. You can avoid corn, wheat, and soy because they can upset the stomach and cause indigestion. However, there are products that provide healthy carbohydrates such sweet potatoes and peas. There are other ingredients that you should avoid giving to your pets, such as artificial flavors and colors. When these chemicals are mixed with your dog food, they can damage the immune system and contribute diseases and other health problems to your pets. Furthermore, artificial flavors and colors can cause irritation and weaken the immune system. Pet owners are always encouraged to use products that have natural ingredients. Border Collies tend to have health problems similar to other dogs, which is why owners need to examine the product for the ingredients that are not harmful. As a final say, I know that a good healthy diet for your dogs can be achieved through proper nutrition and choosing the product with lots of wholesome ingredients. From my experience, I would have to choose Purina Pro Plan Focus as the best product from all I have mentioned. The reason I chose this product is that of its fish based formula. Furthermore, my Border Collie does not experience any allergic reactions after food intake. I would also love to hear your comments on the best product that you have used. In this way, we can help those who will be planning to get Border Collies.